If you need a distraction, take a moment and see some of the best viral videos of the week culled from our "New Day" Tumblr. Tweet us with the hashtag #NewDay and tell us which video is your favorite! 4. Every celebrity in the world congratulates "Jenny"
Sorry guys, but you will probably never be able to beat the video this entertainment reporter made for his fiancée. Seriously, you can't do it. If I were this baby bear, I probably wouldn't be afraid of anything, either. Mama Bear is always close enough behind to save him! I definitely would've ran in the house if I saw this storm coming, but someone followed it long enough to create a timelapse. And we're so glad! Their bravery – or craziness – led to a really great video. 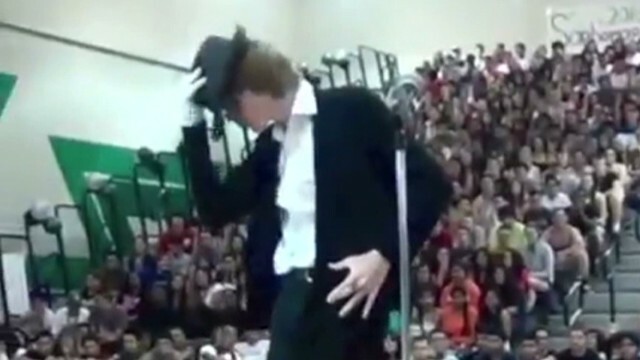 Brett Nichols blew away his school – and the Internet – with his insanely on-point "Billie Jean" moves at a talent show. For the best videos every day, follow us on Tumblr!